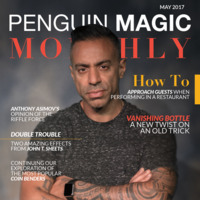 Today, when you order "Penguin Magic Monthly: May 2017", you'll instantly be emailed a Penguin Magic gift certificate. You can spend it on anything you like at Penguin, just like cash. Just complete your order as normal, and within seconds you'll get an email with your gift certificate. 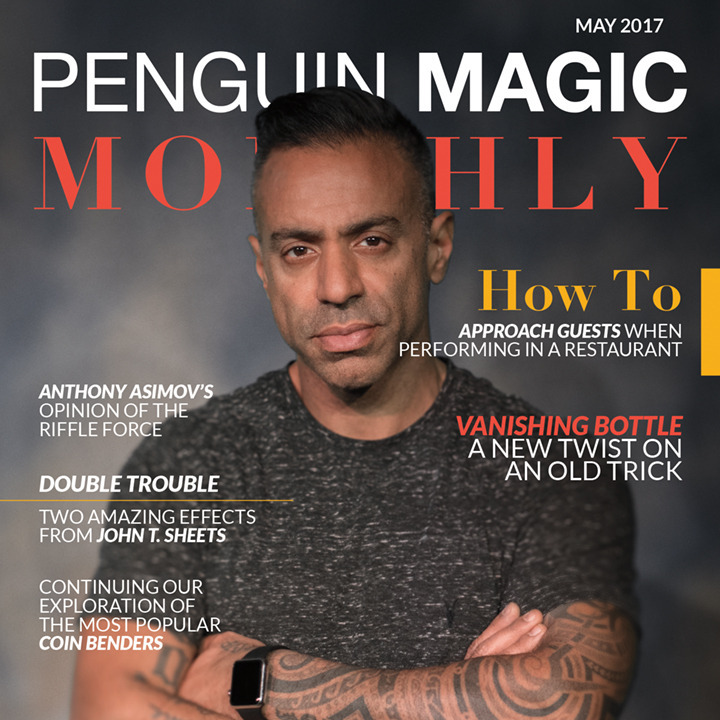 Penguin Magic Monthly: May 2017 This month features Anthony Asimov, John T. Sheets & Bobby Motta. Plus tricks and theory from the world's best working magicians. FREE WITH ALL PHYSICAL ORDERS OVER $50. This has some good ideas that I'm really glad I learned. There's definitely something for everyone in this issue.